Flying over the islands of the vast Gothenburg archipelago, it is hard to believe that you are just two hours from London, Paris or Vienna. 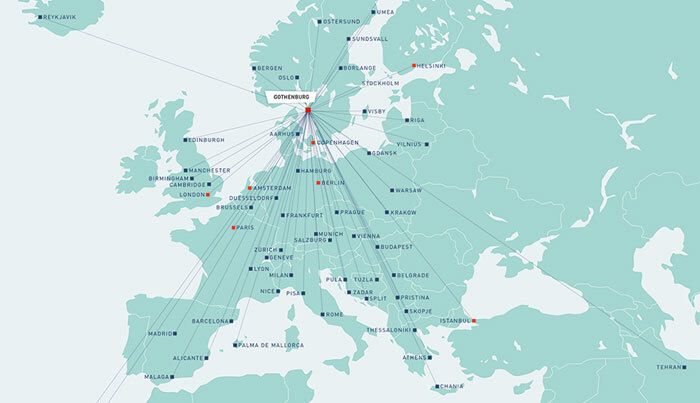 Gothenburg is centrally located within Scandinavia and direct flight hub to all major cities in Europe. It is easy to get to the venue at Lindholmen. The ferry takes only 5 minutes from the city centre and the bus from the Central Station takes 8 minutes. Public transport A well-integrated public transport system combines tram, bus and ferry travel. Tickets range from single fare to a pass valid for several days, or a city card, which can also be customised for the conference. City bikes 1,000 city rental bikes are available from 70 stations. 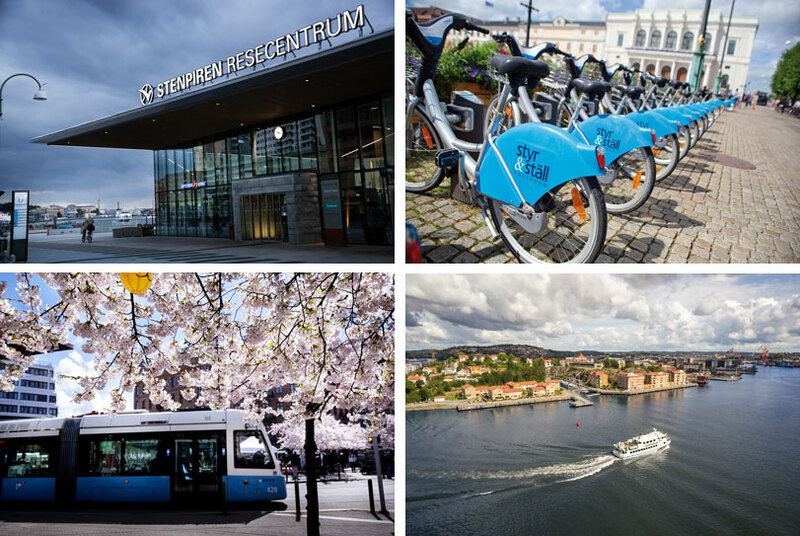 Walking Gothenburg is easily explored by foot as almost everything is found within walking distance. Taxis West Sweden’s largest taxi company, Taxi Göteborg, has 90 per cent environmentally friendly vehicles and favour eco-driving. International airport: Göteborg Landvetter Airport (GOT). 100 arriving flights per day. 68 per cent international flights. One terminal; super-efficient airport services. 20 minutes airport to city centre by taxi or airport coach. By using the phone Parking, you only pay for your exact parking time and payment is made through a phone call or via the app “Parking Gothenburg” (Android and iPhone).